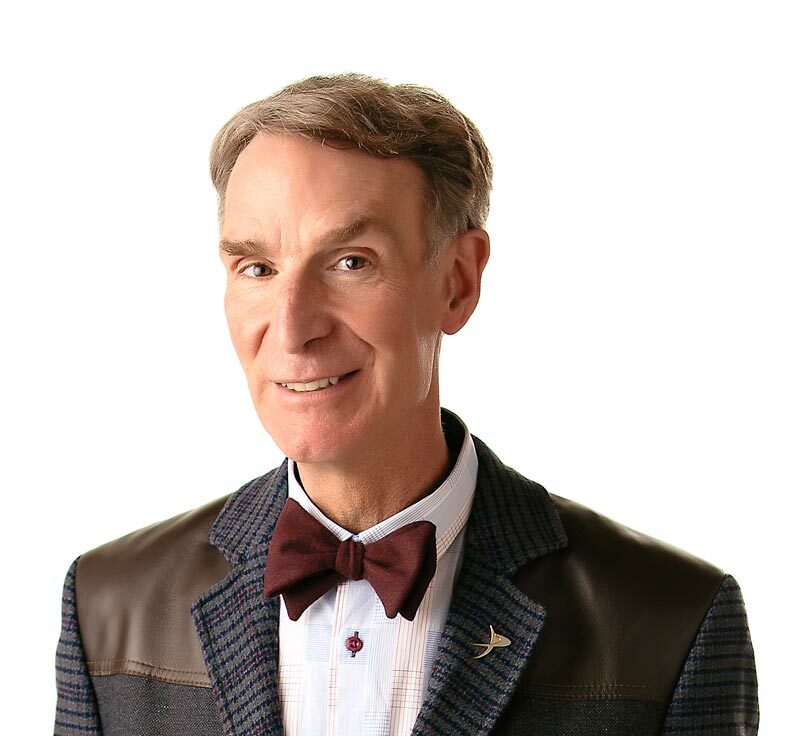 Bill Nye the Science Guy is the hottest thing on TV. The Sun is huge. It’s bigger than huge. It’s so big that 1.3 million Earths would fit inside a hollowed-out Sun. It’s really far away, too – about 150 million kilometers (93 million miles) Even at that distance the Sun affects everything on Earth. All the energy we have comes, or once came from, the Sun. That includes energy to light a lamp, energy to kick a soccer ball, and energy in batteries that play your personal stereo. We’re talking about nearly all of the energy. There’s a little bit of energy that comes from nuclear reactions deep in the Earth’s core. But that energy pales compared with the nuclear fusion fueling the Sun. Without the Sun, the Earth would be a big hunk of rock with nearly nothing on it. The Sun is made of gas. It has so much gravity that it’s atoms are smashed into hot gas. In the sun, atoms of gas are constantly crashing into each other. When they collide, they form new atoms and release energy. Scientists call this atom smashing “nuclear fusion,” and it gives off a lot of energy. A very small portion of this energy beams straight through space to Earth, giving living things like us the power to live, grow and eat. Watch “The Sun” episode – it’ll warm you up to science. The Sun is the source of energy for all life on Earth’s surface. The Sun gets its energy from continuous explosions. The Sun’s core is 14,000,000 degrees Celsius (25,000,000 degrees Fahrenheit)? Sun spots, dark areas on the sun, are cooler than the rest of the sun’s surface? The Sun will burn out in about 5,000 million years? “The Sun” by Isaac Asimov. Published by Gareth Stevens Publishing, 1988.